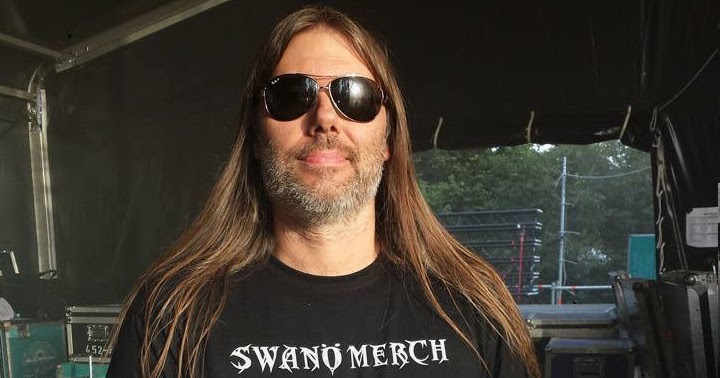 A CONVERSATION WITH METAL MASTERMIND DAN SWANO! LORD RANDALL returns to the Worm-wars this week and what a return it is! He speaks to one of the most creative and hard working figures ever in the heavy metal world, the Supersonic Swede, DAN SWANO! Dan is best known for his work in bands like EDGE OF SANITY, BLOODBATH, NIGHTINGALE and most recently, WITHERSCAPE, as well as being one of the best producers in the metal biz! The recent Witherscape album "The Northern Sanctuary" is surely a towering achievement and Dan gets to dissect it at length here. What's it like to create a massive concept album and what are some of the concept albums that have influenced Mr. Swano in the past? Read HERE and you'll find out all about it! We will soon have a concert review of the massive PSYCHO LAS VEGAS Fest courtesy of SOLOMON G, complete with tons of pics. That fest had an insane lineup featuring ALICE COOPER, ARTHUR BROWN, SLEEP, HIGH ON FIRE, DEMON LUNG and tons more! Plus THERON MOORE has secured an interview with the fast-rising thrash band NUK'EM! Plus my write-up on the crazy French horror flick "DEVIL STORY" is almost complete! The Torture Chamber is all over the place this week...Mexico, Germany, England, and even OHIO! Check it out! THE WOUNDED KINGS "Visions In Bone"